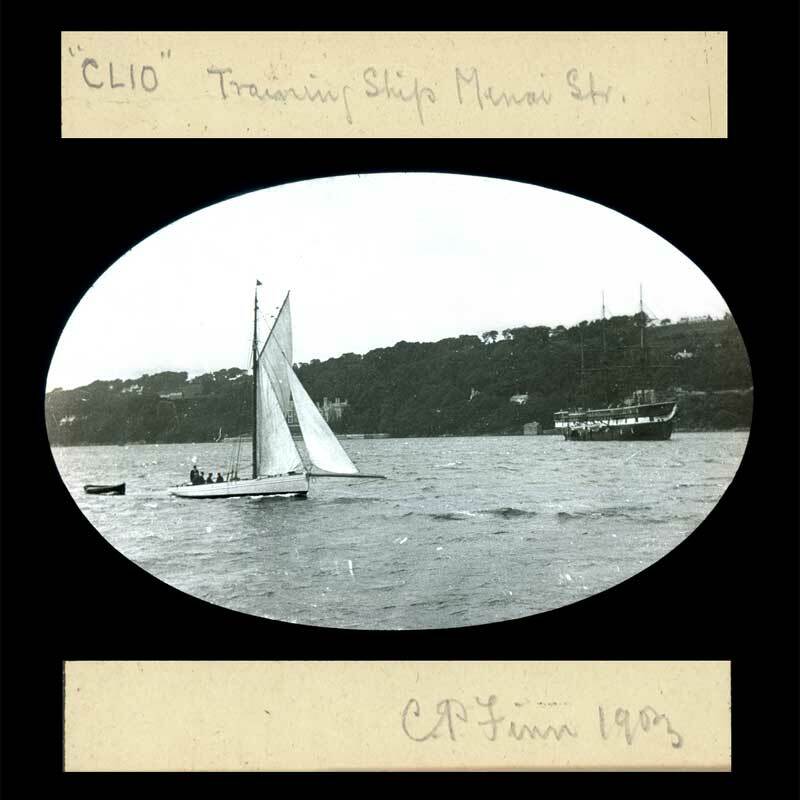 Description : The ship on the right is HMS Clio, a former Royal Navy ship used as a training vessel, moored in the Menai Strait, Wales. The building in the background is Glyn Garth, the former palace of the Bishops of Bangor. Sadly, it was demolished after World War II and has been replaced by a rather ugly block of flats.